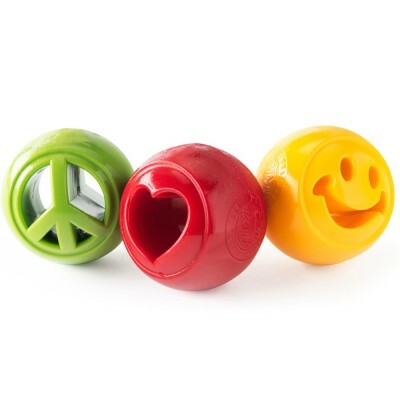 Treat-dispensing dog toys could help you provide mental and physical stimulation and may decrease the chances your dog develops boredom-related behavior problems such as barking and chewing. 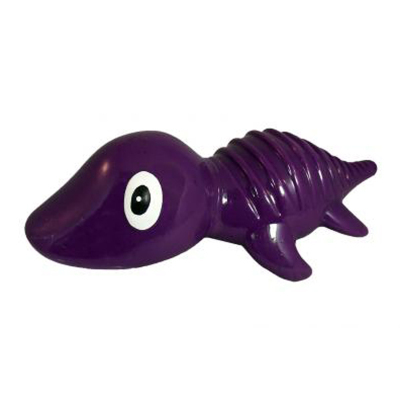 They are also great fun! 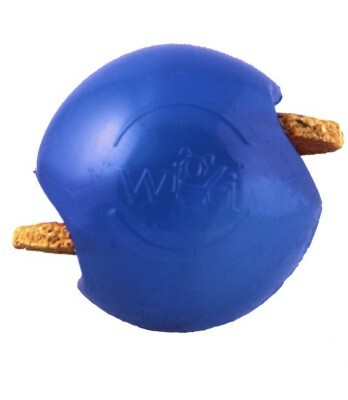 Features Super Float to float above the water surface, making it easier to find for all water dogs. 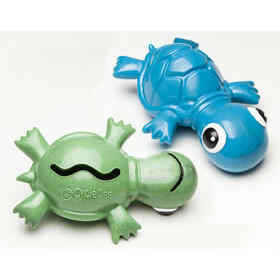 Ecolast high durability post-consumer recycled material for hours of fun while reducing your dog's carbon paw print. 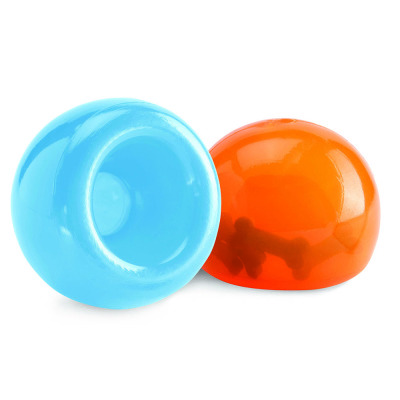 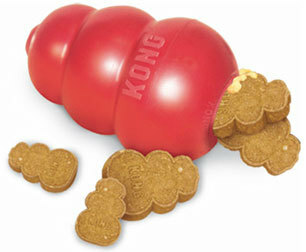 Busy Belly tummy slot can be filled with kibble, treats or other tasty items your dog loves. 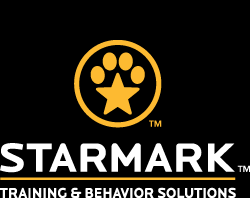 Starmark pet products reflect the way dogs learn and have fun. 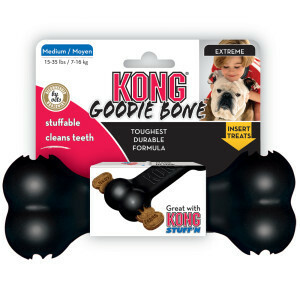 Utilizing the expertise of their Certified Training and Behavior Specialists they create mental stimulation and interactive play toys, training tools, and treats. 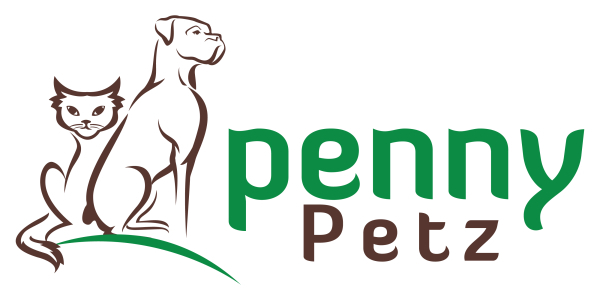 Their hands-on experience combined with vast technical knowledge allows them to bring you useful and unique products, as well as dog training and behavior solutions. 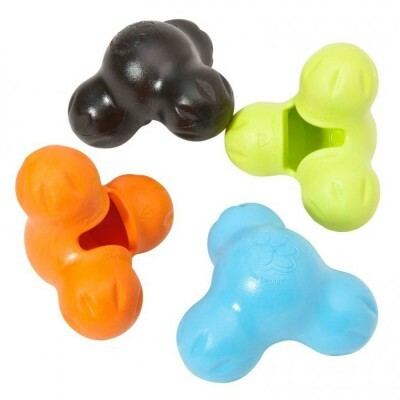 Wigzi pocket bone treat dispenser is a glow in the dark dog toy. 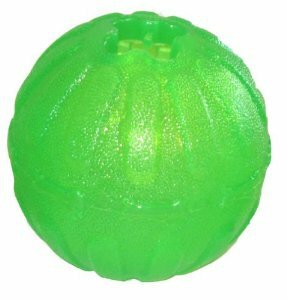 The Roxxter is a high energy toy that demands fun and action. 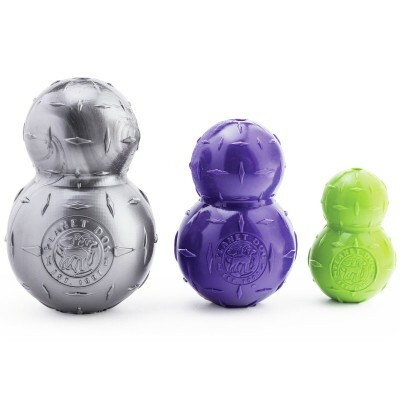 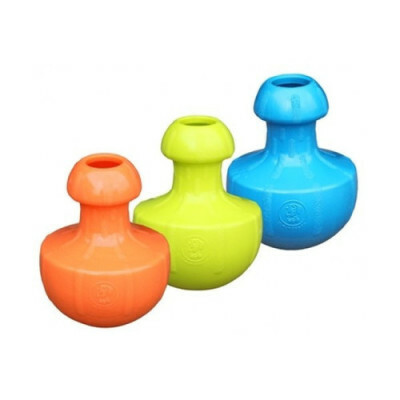 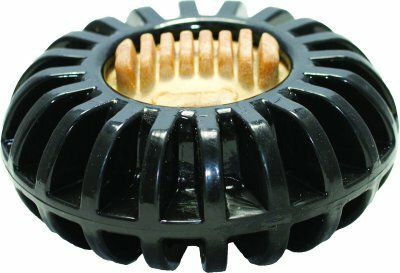 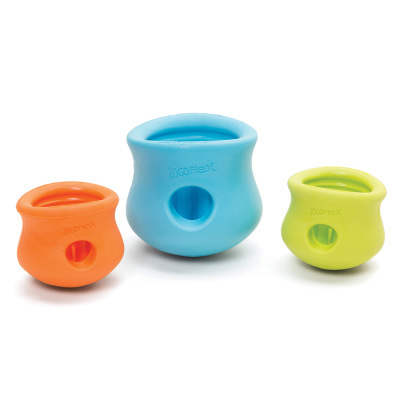 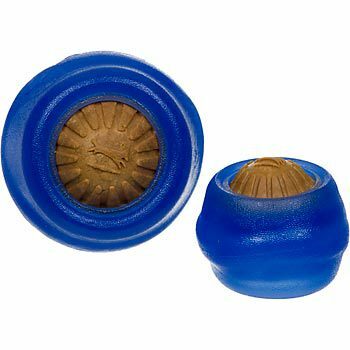 Made in USA from super tough, recycleable material, Roxxsters are designed to self-right as your dog works to free the goodies you’ve hidden inside the treat chamber. 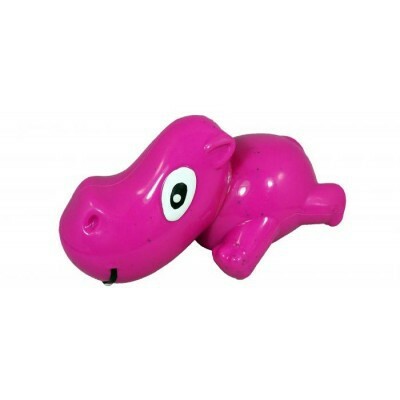 Non-toxic.